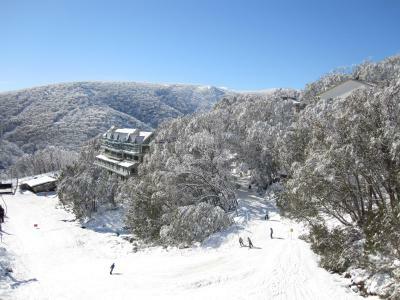 Lock in a great price for Falls Creek Country Club – rated 8.1 by recent guests! 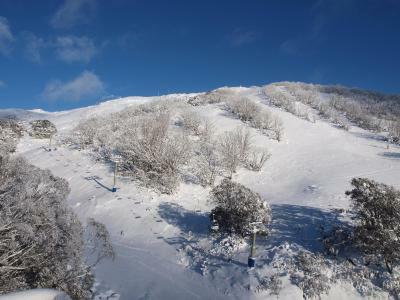 Nice location which has a front park to unload the luggage during the snow season and the Gully Chairs is just beside it. It was off season so the restaurant was closed. That didn't impact on our group - we were happy to self cater for the long weekend. Everything, clean, close to all facilities, awesome. Overall the unit was good, except in the summer months, a fan is needed to move the air around. There is no air flow from the only opening door. Bed was very comfortable but the spa bath is not big enough for 2. View from the balcony was great. Location was ok, room had everything needed from a basics point of view, drying cupboard was useful for my rain gear and waders. Mattress was good if not amazing but better than other places I have stayed for similar money. The suite was well furnished and quite comfortable except for a slightly over worn sofa. The kitchen area provided everything we needed and was well set up. The 3 x bathrooms were fantastic one of which had a spa bath and spa shower with 7 shower heads in it (Never used on of those before)! There were 3 x TV's which was great, but most of the channels didn't work, so the kids used tablets for entertainment. Views from the balconies were amazing. 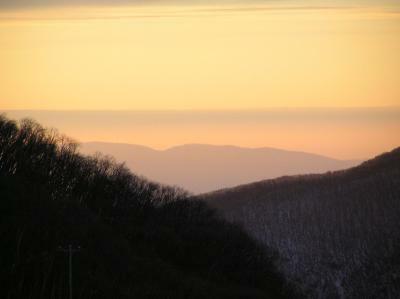 It has breathtaking view from the balcony. 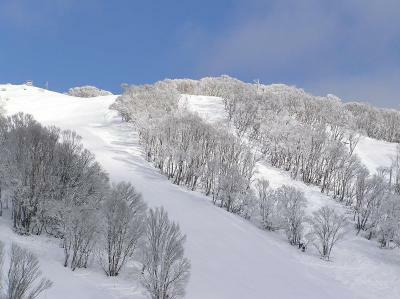 Ideal during snow season. The Falls Creek Country Club is convenient and inexpensive. Great location. 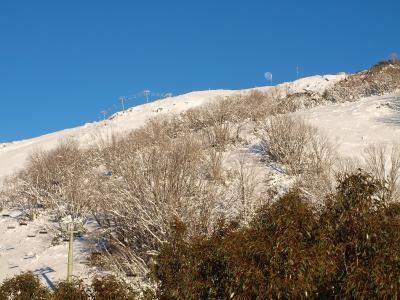 Good proximity to parking (which is not the case for the rest of Falls Creek accommodation. 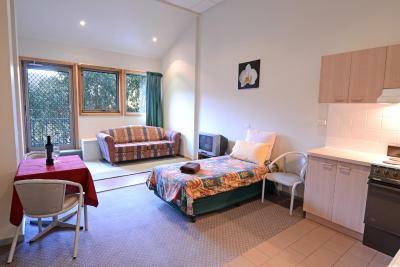 Room is basic but has fully kitchen and self contained. Although I did not use them, pool, sauna and spa are available. 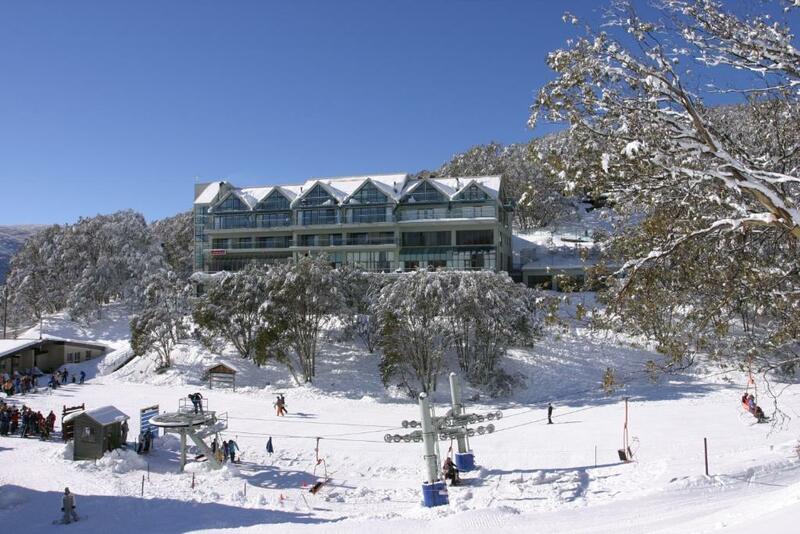 Falls Creek Country Club This rating is a reflection of how the property compares to the industry standard when it comes to price, facilities and services available. It's based on a self-evaluation by the property. Use this rating to help choose your stay! 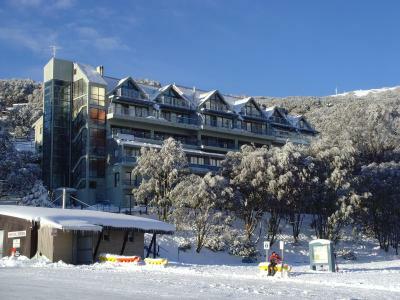 One of our top picks in Falls Creek.Located in the alpine resort of Falls Creek, this 6-story apartment building features a heated indoor pool, a spa pool and a sauna. Guests have direct access to skiing via the chairlifts. 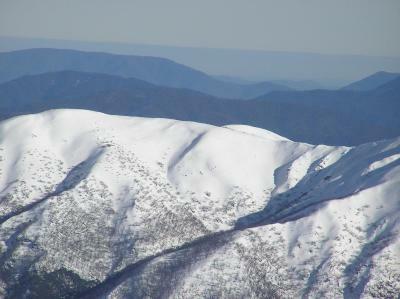 Overlooking the Bogong High Plains, Falls Creek Country Club is a 3-minute walk from Falls Creek Central Reservations, which offers ski elevator passes, equipment and ski clothing hire. 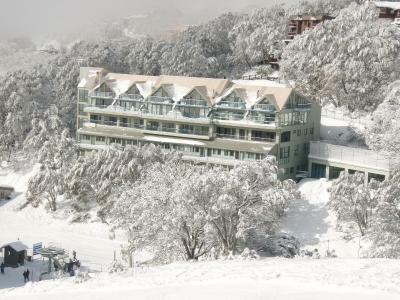 All apartments include a ski-drying cupboard, a fully equipped kitchen and individually-controlled panel heaters. The on-site restaurant is open for dinner in the winter months and features an à la carte menu, an extensive wine list and a large selection of local and international beer. Falls Creek Country Club offers a free shuttle service to and from the bus terminal. 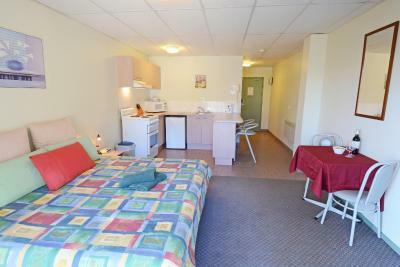 Luggage storage and laundry facilities are also available. In summer, guests can play a game on the half-size tennis court. 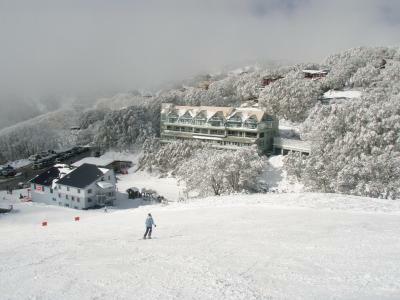 When would you like to stay at Falls Creek Country Club? 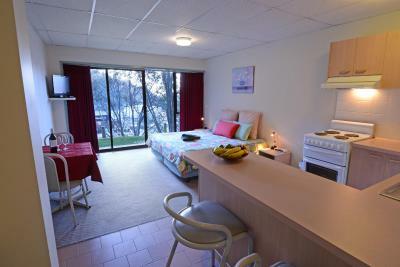 This studio offers an open-plan living area, a fully equipped kitchen and ski drying cupboards. Bed linen and towels are provided. Most studios include floor-to-ceiling windows and direct access to the snow. 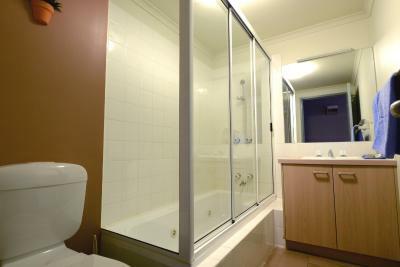 Some apartments also include a bathtub. Please note that the maximum occupancy is 2 guests. There is no capacity for additional guests. This open-plan studio features a fully equipped kitchen, a ski drying cupboard and individually-controlled heating panels. The private bathroom includes a bathtub with spa jets. Bed linen and towels are provided. The living area includes a flat-screen TV and a DVD player. This apartment features a fully equipped kitchen, a ski drying cupboard and an open-plan living area with a flat-screen TV and DVD player. Bed linen, towels and free toiletries are provided. 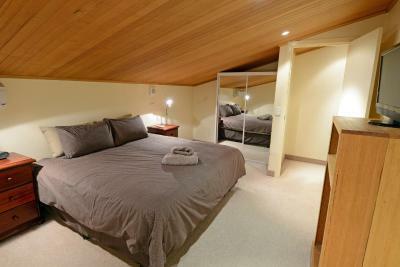 There is a single-sized bed and a roll-away bed in living room that can accommodate 2 guests. Please note that the maximum occupancy is 4 guests. There is no capacity for additional guests. This apartment features a balcony offering fantastic views of the ski fields, a fully equipped kitchen and a ski drying cupboard. The open-plan living area offers a flat-screen TV and a DVD player. Bed linen, towels and free toiletries are provided. There is a roll-away bed in the living room that can accommodate 2 guests. 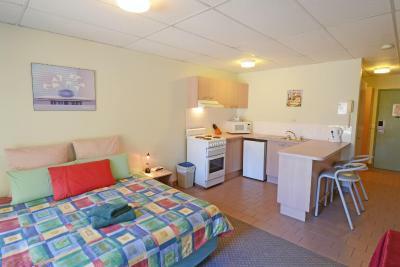 This apartment features a fully equipped kitchen and a ski drying cupboard. The open-plan living area offers a flat-screen TV and a DVD player. Bed linen, towels and free toiletries are provided. Some apartments include a balcony or a bathtub with spa jets. Please note that the maximum occupancy is 6 guests. There is no capacity for additional guests. This spacious apartment features a fully equipped kitchen, a ski drying cupboard and an open-plan living area with floor-to-ceiling windows, a flat-screen TV and DVD player. Bed linen, towels and free toiletries are provided. Some apartments also feature a balcony. Please note that the 7th and 8th guests will be accommodated on a roll-away bed in the living area. Please note that the maximum occupancy is 8 guests. There is no capacity for additional guests. 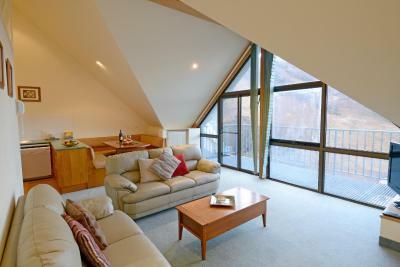 This apartment features a balcony offering stunning views over the ski fields, a spa bath and a ski drying cupboard. 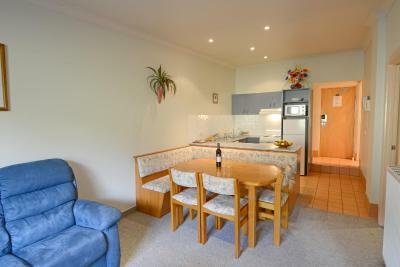 The open-plan living area offers a fully equipped kitchen, a dining setting, a flat-screen TV and a DVD player. There are 2 bathrooms and a laundry room. Bed linen, towels and free toiletries are provided. This spacious apartment features a spa bath, a fully equipped kitchen, a ski drying cupboard and an open-plan living area with floor-to-ceiling windows, a flat-screen TV and DVD player. Bed linen, towels and free toiletries are provided. Please note that the maximum occupancy is 10 guests. There is no capacity for additional guests. This modern apartment features a balcony, a drying cupboard and individually controlled panel heaters. 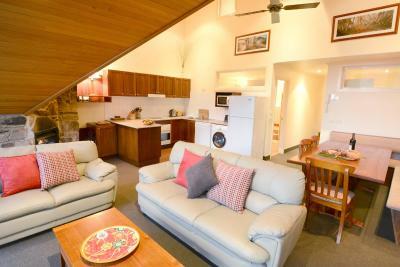 There is a fully equipped kitchen, a dining area and 2 bathrooms, including 1 with a spa bath. Your lounge area offers a large flat-screen TV, a DVD player and leather sofas. All bedrooms offer luxurious bedding and bed linen, towels, pool towels and toiletries are provided. This apartment includes a light daily servicing. This modern apartment features a balcony, a drying cupboard and individually controlled panel heaters. 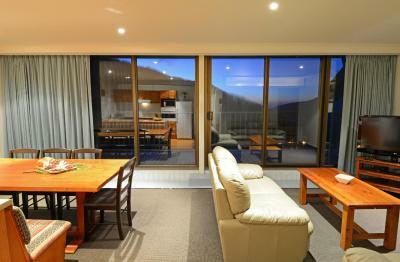 There is a fully equipped kitchen, a dining area and a bathroom with a spa bath and a shower. 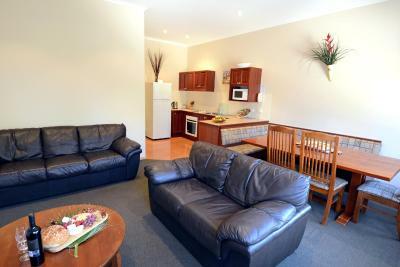 Your lounge area offers a large flat-screen TV, a DVD player and leather sofas. All bedrooms offer luxurious bedding and bed linen, towels, pool towels and toiletries are provided. 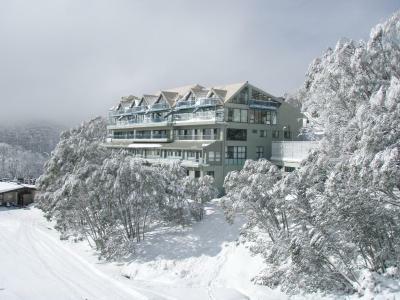 This split-level apartment features a balcony offering stunning views towards the “Gully and International” ski runs and the Kiewa Valley. The spacious living area features an open fireplace, a large flat-screen TV, a DVD player and leather sofas. 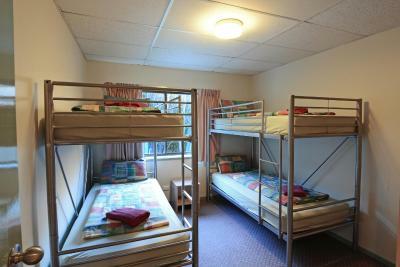 There is a fully equipped kitchen, a drying cupboard and individually controlled panel heaters. There are 2 bathrooms. All bedrooms offer luxurious bedding and bed linen, towels, pool towels and toiletries are provided. 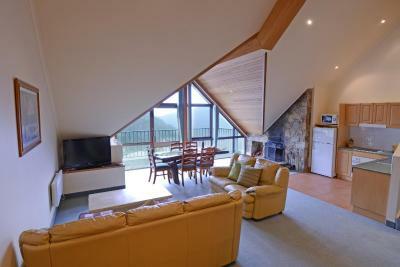 This split-level apartment features a balcony offering stunning views towards the “Gully and International” ski runs and the Kiewa Valley. The spacious living area features an open fireplace, a large flat-screen TV, a DVD player and leather sofas. 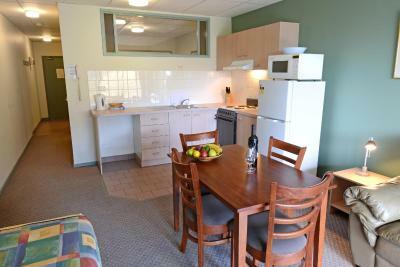 There is a fully equipped kitchen, a drying cupboard and individually controlled panel heaters. 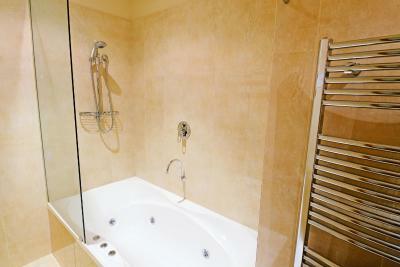 There are 3 bathrooms, including an en suite to the master bedroom which offers a spa bath and a spa-style shower. 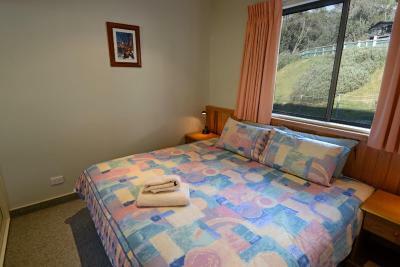 All bedrooms offer luxurious bedding and bed linen, towels, pool towels and toiletries are provided. 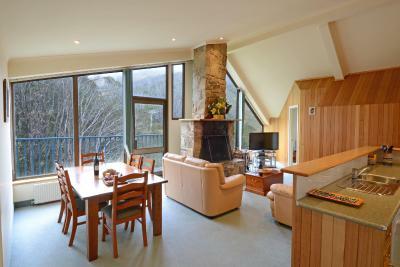 This split-level apartment features a balcony offering stunning views towards the “Gully and International” ski runs and the Kiewa Valley. The spacious living area features an open fireplace, a large flat-screen TV, a DVD player and leather sofas. 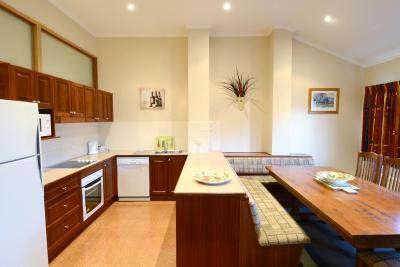 There is a fully equipped kitchen, a drying cupboard and individually controlled panel heaters. There are 3 bathrooms, including 2 with a spa bath. 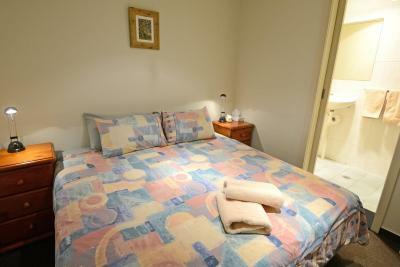 All bedrooms offer luxurious bedding and bed linen, towels, pool towels and toiletries are provided. House Rules Falls Creek Country Club takes special requests – add in the next step! Falls Creek Country Club accepts these cards and reserves the right to temporarily hold an amount prior to arrival. Please note that the prepayment will occur at the time of booking. Mountain views advertised not really apt from ground floor where I was given, insist on second floor and above, room had all the basics but nothing more than the basics, ultra small tv, dated 70s décor, noisy fridge, no insect screens on doors or windows so couldn't ventilate room without unwanted visitors, air extraction fan in bathroom not working, that could test a few relationships, and my room was right across from the hotel's noisy staff laundry room, restaurant was not open during my stay, again not made clear when I booked, no bar or breakfast available either, no secure parking on hotel site so had to empty car of equipment each night and park on street, so not sure why its called a Country Club? It's ok if all you want is a base but it's really just a middle of the road hotel and doesn't really qualify as a Country Club in the true sense of the word, in my view the hotels title is a bit misleading. Great view, easy parking and easy to find. Staying in summer we found the heat in the apartment unbearable, there was no form of air conditioning, understandable for a snow resort. But there was also no ceiling fans either, and the only air flow available was by opening the balcony and hallway doors and using the 2 pedestal fans provided to try and coax some cool air into the apartment. Which then created a blow fly issue. Due to this issue we were a little disappointed in the for the price we paid! Unfortunately like a lot of places in the mountains during summer, the restaurant was closed until winter, a real shame considering how many people go up to the mountains these days for mountain biking, training, or just a getaway during the warmer months. It was hot and the room had no air conditioning, nor were fans available. The rooms were hot and stuffy. You could clearly EVERYTHING happening in the adjacent rooms, through the walls/ceiling. The room was old and in desperate need of an upgrade. There's not much do in summer. Every place is closed by 3:30pm. The facilities are basic. Bath was not clean - there was used soap in the corner.